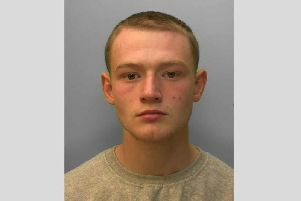 Jordan Clark, 19, of Lyndhurst Road, East Worthing, was given a community order with Rehabilitation Activity Requirement and must pay £10 compensation after admitting stealing 14 pairs of sunglasses worth £988 from Boots, Worthing, on August 20, 2018. He also admitted breaching a community order by failing to attend RAR appointments on December 20 and 27, 2018. He was dealt with for the original offence, receiving a community order with Rehabilitation Activity Requirement for having a lock knife in a public place without good reason in Guildford on January 12, 2018. Charlie Friar, 32, of Broadwater Court, Broadwater Street West, Broadwater, was fined £380 and must pay £36 victim surcharge, £85 costs, after admitting drug-driving (3.ug/l Delta-9-THC) in Sheridan Road, Broadwater, on September 18, 2018. He was disqualified from driving for 12 months. Samantha McCrohan, 31, of Gratwicke Drive, Wick, was fined £120 and must pay £30 victim surcharge, £85 costs, after admitting drink-driving (133mg of alcohol in 100ml of blood) in Toddington Lane, Littlehampton, on November 26, 2018. She was disqualifed from driving for 16 months. Andrius Kondratov, 34, of Selden Road, Worthing, was discharged conditionally for six months and must pay £20 victim surcharge, £85 costs, after admitting stealing a £110 Craghoppers jacket from Beales, Worthing, on November 16, 2018.